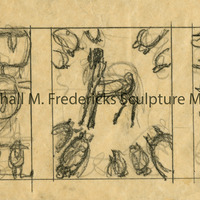 Sketch for "Colt and Pigs"
Plaster model for "The Family (Farm Animals)"
Fredericks received this commission as a result of an honorable mention in the Section of Fine Arts World's Fair Competition. 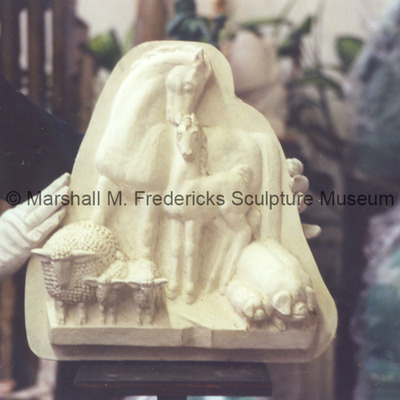 Completed under the Section of Fine Arts Public Buildings Administration Federal Works Agency, the finished terracotta relief originally hung over the Postmaster's door in Sandwich, Illinois. 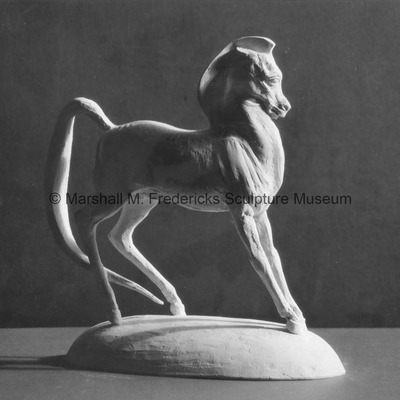 Plaster model for "Classic Colt" scupted during Fredericks' time as a student at the Cleveland School of Art (c. 1926-1930). 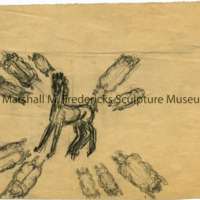 Subsequently destroyed. 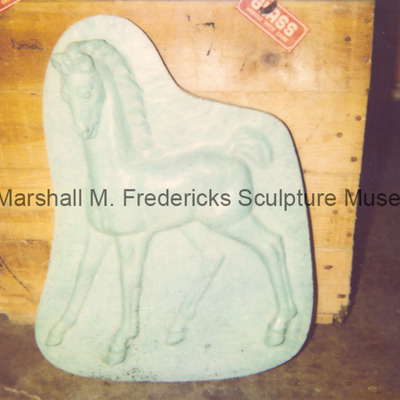 Bronze relief of Fredericks' "Classic Colt"